Extensions are always possible if you aren’t ready by these dates, but it’s good to keep them in mind during your preparation. As you do every year, you’ll need to collect all of your business documentation. If you’re working with a professional tax preparer, this step will be a little easier—you’ll hand them your papers and be on your way. Payroll documentation and records of employee benefits. And remember to locate your filing from 2017. The IRS recommends that everyone keep records of their past returns for at least three years, as your old return may have some data you’ll need for your new filing (such as your adjusted gross income). If you don’t have these records, you can order a free transcript from the IRS. As we know, 2017’s Tax Cuts and Jobs Act (TCJA) marked one of the most significant adjustments to U.S. tax code that we’ve seen in decades. The policy offers some interesting new bonuses to business owners who qualify, although the tax cuts will end up affecting all of us in some way. Lower personal income tax – Right off the bat, every individual filer earning over $9,526 will enjoy a reduced personal tax rate compared to 2017’s brackets. Lower corporate tax rates – For corporations (and LLCs that elect to file as corporations), the corporate income tax rate has been drastically lowered for those earning over $50,000 annually. New expensing rules – The rules have changed for how businesses may deduct certain types of business equipment. Broadly, the deduction threshold was raised for qualifying equipment, meaning that business owners will have the opportunity to write off a bigger portion of the costs. Naturally, the TCJA exemptions favor bigger businesses, and those that have the budget to hire dedicated accounting teams who can fine-tune each return for the maximum benefit. 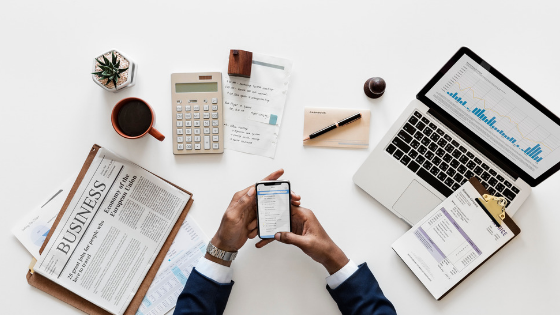 Tackling the process on your own may mean that you’ll miss out on a few deductions that a CPA would catch, but you’ll enjoy the reduced tax liability either way. We always push businesses to get started on their tax preparation as early as possible—regardless of your business type or entity classification. This is particularly true for your 2018 return. With the TCJA adjustments taking effect this tax season (and the IRS reporting that they’re surprisingly unprepared to handle the changes), we expect that companies will be waiting longer than normal to receive their returns. Your best bet for a speedy filing is to get started now and have your accounting team ready to file as soon as the window opens. Don’t wait! Get in touch with botkeeper today to find out how you can get your books in order and save on your tax filing—before it’s too late.